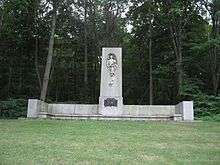 Francis Parkman, Jr. (September 16, 1823 – November 8, 1893) was an American historian, best known as author of The Oregon Trail: Sketches of Prairie and Rocky-Mountain Life and his monumental seven-volume France and England in North America. These works are still valued as historical sources and as literature. He was also a leading horticulturist, briefly a professor of Horticulture at Harvard University and author of several books on the topic. 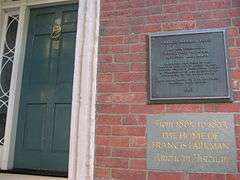 Parkman was a trustee of the Boston Athenæum from 1858 until his death in 1893. Parkman's work regarding nationality, race, and especially Native Americans have generated criticism. C. Vann Woodward wrote that Parkman permitted his bias to control his judgment, employed the trope of "national character" to colour sketches of French and English, and drew a distinction between Indian "savagery" and settler "civilization", for Parkman found the Indian practice of scalping execrable, and made sure to underscore his aversion. The French-trained historian W. J. Eccles harshly criticized what he perceived as Parkman's bias against France and Roman Catholic policies, as well as what he considered Parkman's misuse of French language sources, although he gives scant evidence of this last. 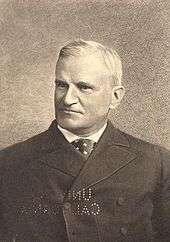 Noted Eccles, "Francis Parkman's epic work La Salle and the Discovery of the Great West (Boston, 1869) is doubtless a great literary work, but, as history, it is, to say the least of dubious merit." However, other Canadian contemporaries laud Parkman's work as "a veritable mine of brilliantly comprehensive history of early Canadian events and personages." The American writer and literary critic Edmund Wilson, in his book O Canada, described Parkman's France and England in North America in these terms: "The clarity, the momentum and the color of the first volumes of Parkman's narrative are among the most brilliant achievements of the writing of history as an art." Francis Parkman School in Forest Hills is shown in this circa 1907. "The Ancien Régime in Canada, 1663–1763," The North American Review, Vol. CXVIII, No. 243, April 1874. "The Native Races of the Pacific States of North America," The North American Review, Vol. CXX, No. 246, January 1875. "Cavelier de la Salle," The North American Review, Vol. CXXV, No. 259, November 1877. "The Failure of Universal Suffrage," The North American Review, Volume 127, Issue 263, July – August 1878. "The Woman Question," The North American Review, Volume 129, Issue 275, October 1879. "The Woman Question Again," The North American Review, Volume 130, Issue 278, January 1880. "Some of the Reasons Against Woman Suffrage." In Albert Benedict Wolfe, ed., Readings in Social Problems, Ginn and Company, 1916. 1 2 3 Sheola, Noah. 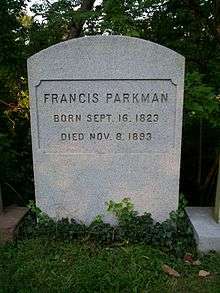 "Francis Parkman". Boston Athenaeum. Retrieved 3 March 2016. ↑ McConnell, Michael N. (1994). "Introduction to the Bison Book Edition." In: The Conspiracy of Pontiac, by Francis Parkman. Lincoln, Nebraska: University of Nebraska Press, pp. ix–x. ↑ "Book of Members, 1780–2010: Chapter P" (PDF). American Academy of Arts and Sciences. Retrieved April 13, 2011. ↑ U.S. 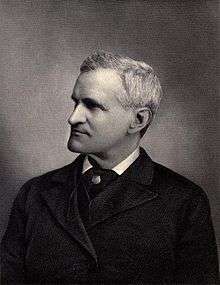 Stamp Gallery: Francis Parkman. ↑ W. J. Eccles, "Francis Parkman" entry in the Dictionary of Canadian Biography, , available online. ↑ Eccles, W.J. (1983). The Canadian Frontier 1534–1760. Rev. ed. University of New Mexico Press, p. 200 (footnote 12). ↑ Hopkins, J. Castell (1898). An Historical Sketch of Canadian Literature and Journalism. Toronto: Lincott. p. 118. ISBN 0665080484. ↑ Allen, Robert S. (1992). His Majesty's Indian Allies: British Indian Policy in the Defence of Canada, 1774–1815. Toronto: Dundum, p. 235. ↑ McConnell (1994), pp. xv–xvi. ↑ Wilson, Edmund (1965). O Canada: An American's Notes on Canadian Culture. New York: Farrar, Straus and Giroux, p. 54.